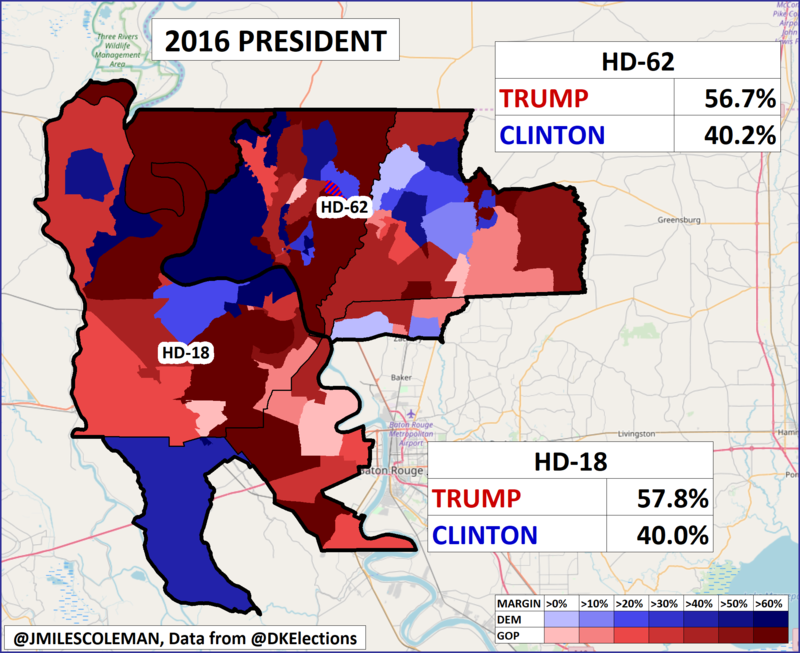 While this Tuesday will be the biggest election night of the year so far- featuring contests in Wisconsin, Pennsylvania, and Illinois- on Saturday, Louisiana will have a duo of runoffs in the Baton Rouge area. As the Bayou State will hold statewide election later in the fall, these races could be telling. The action will be in House Districts 18 and 62, which are adjacent;they’re situated west and north, respectively, of Baton Rouge. 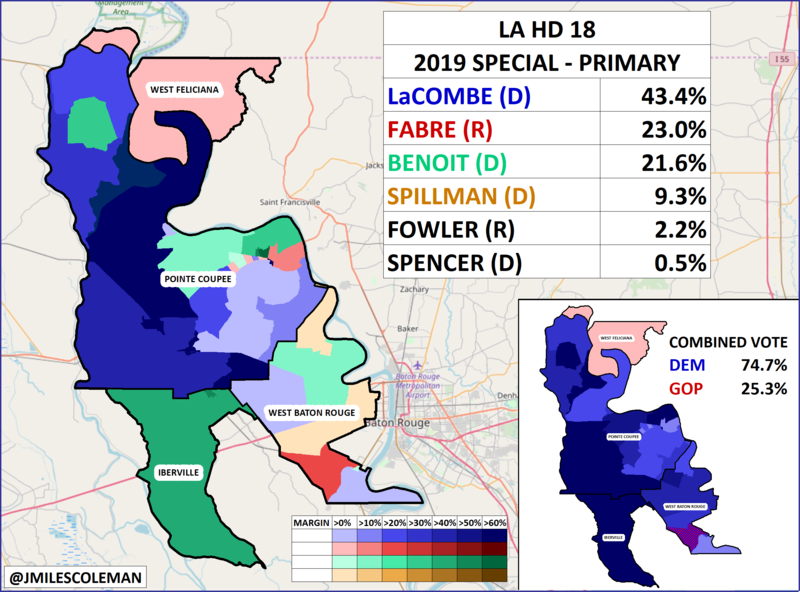 HD-18 is centered on Pointe Coupee Parish, and takes in half of blue collar West Baton Rouge Parish. The Democrats are defending this seat. 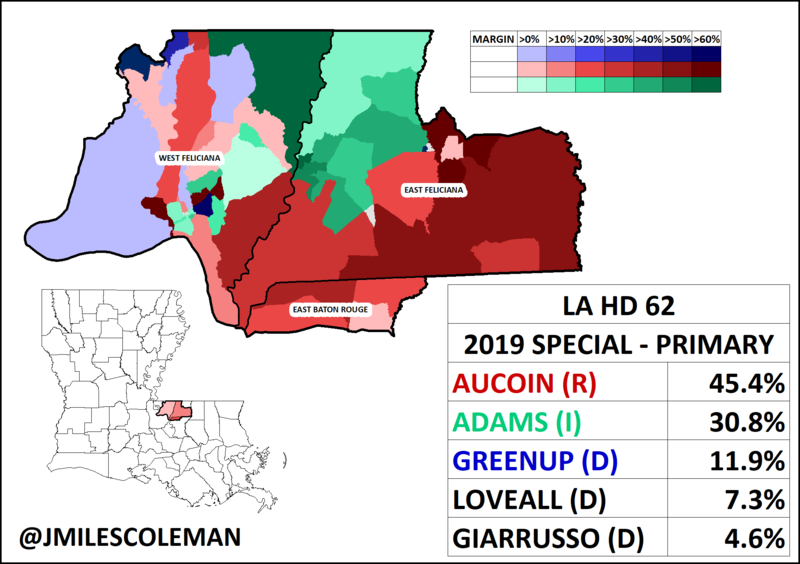 HD-62 is known as “the Felicianas” district, as it takes up much of both East Feliciana and West Feliciana parishes. The GOP is defending HD-62. So which version of the districts could we see on Saturday? From the primary results last month, it may be a split verdict. While LaCombe took 43% as a white blue dog Democrat, a significant share (22%) went to the third place finisher, NaTashia Benoit, a black Democrat; it’s hard to see this bloc voting Republican in the runoff. Finally, as state analyst John Couvillon points out, the Democrats have a massive fundraising advantage here. 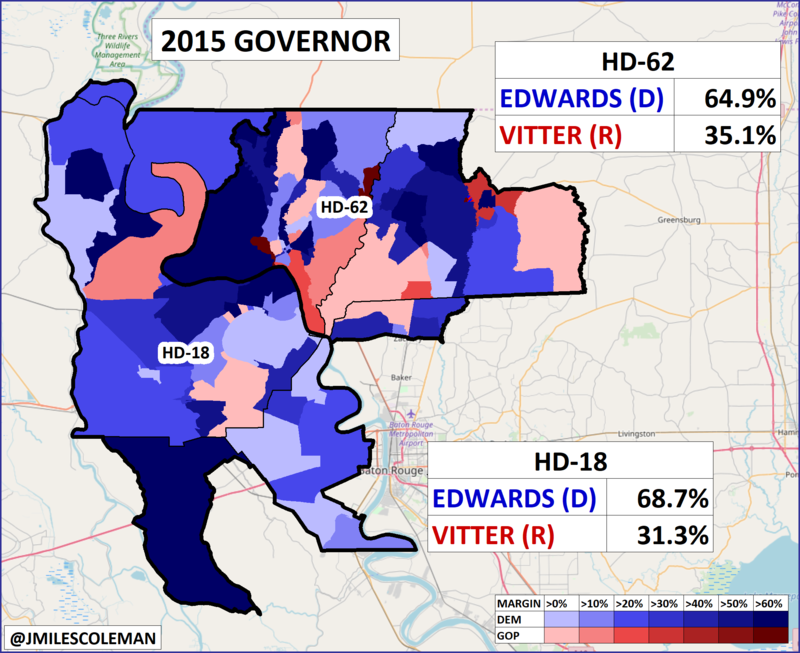 In contrast to HD-18, the race for HD-62 looks more competitive. In the primary, West Feliciana Parish police juror Dennis Aucion (R) took 45% as the lone Republican in a five-candidate field. It was something of a surprise when Independent Roy Daryl Adams edged out three Democrats; Adams made the runoff with 30%. In the runoff, the Aucoin campaign has seen better fundraising, though from the early vote numbers, this could be a close race on election night. Adams has not specified which party he’d caucus with but, should he win, he’d be the fourth independent legislator in the Louisiana House. Polls close a 9 PM Eastern Time.